We are introducing a new feature to coopmode.com, What We’re Playing. 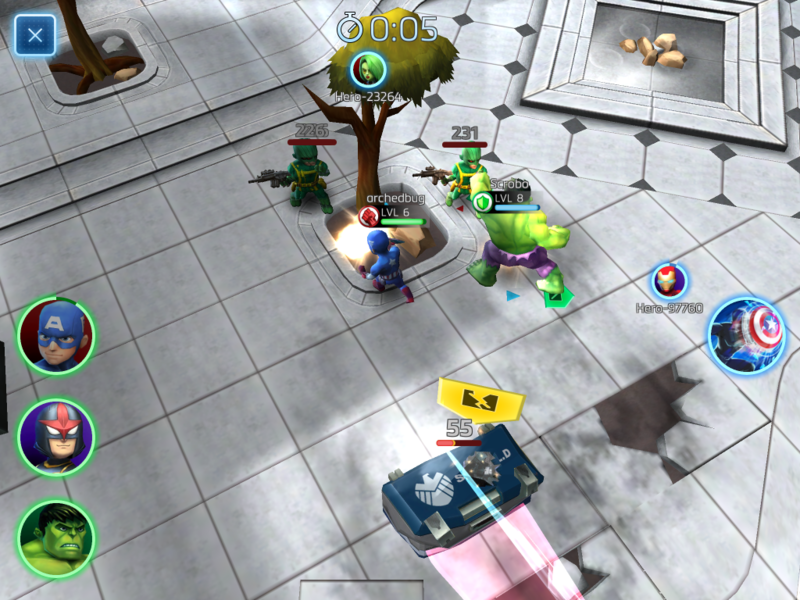 This week we’ve been playing Mighty Marvel Heroes, which is a very fun and quick game. You can play several games at once or only one in a short amount of time. 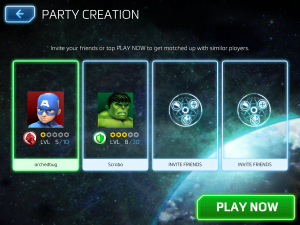 The co-op multiplayer matching is very unique, nothing we’ve ever seen before. You just start a game and press a button that automatically invites all your friends. Then they can all join your game until it becomes a party of 4 or until no one else wants to play. If you have a party of 3 or fewer, the game matches you with random people of your level and sets you off to your mission. Another exciting element of the game is recruiting new heroes. Every day you receive a free spin to recruit heroes. You can use your free spin or pay 500 in-game bucks to get a random hero. From Spider-man to Thor, you can win any hero-even ones you already have. When you receive a hero you already have, your hero levels up. We’ve played Mighty Marvel Heroes for many days and it hasn’t gotten old. We are continually playing this game every day and enjoy it every time! This entry was posted and tagged Mighty Marvel Heroes, What We're Playing on June 20, 2015 by admin.